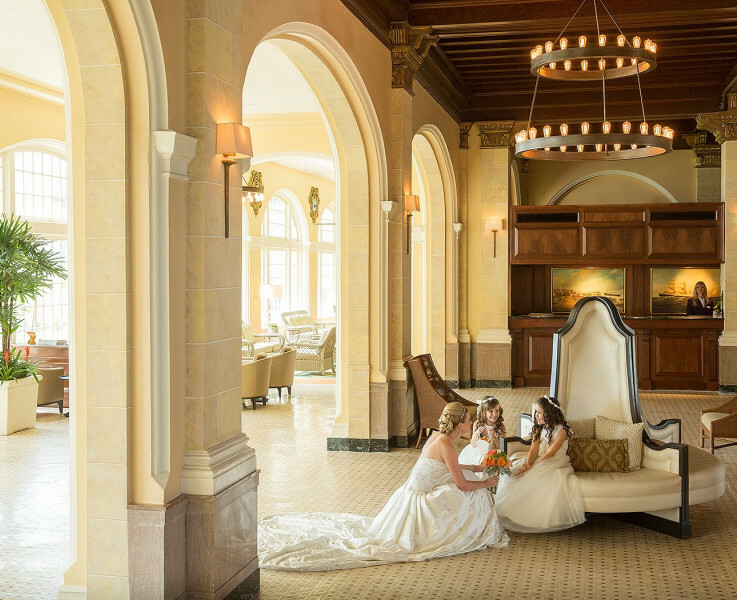 Turn the biggest day of your life into the wedding of your dreams, surrounded by lush gardens, sprawling greens, and sparkling beaches. 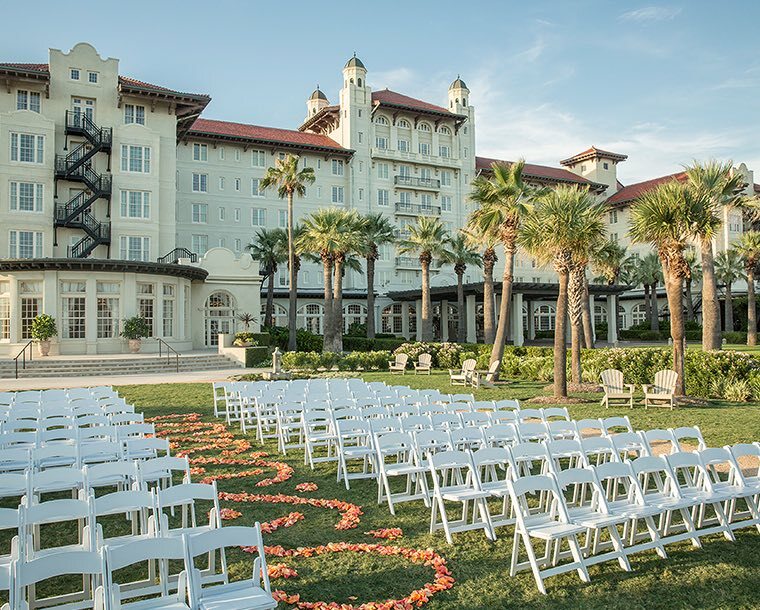 The "Queen of the Gulf," featured in Southern Bride, has some of the most pristine wedding venues in Galveston, Texas. 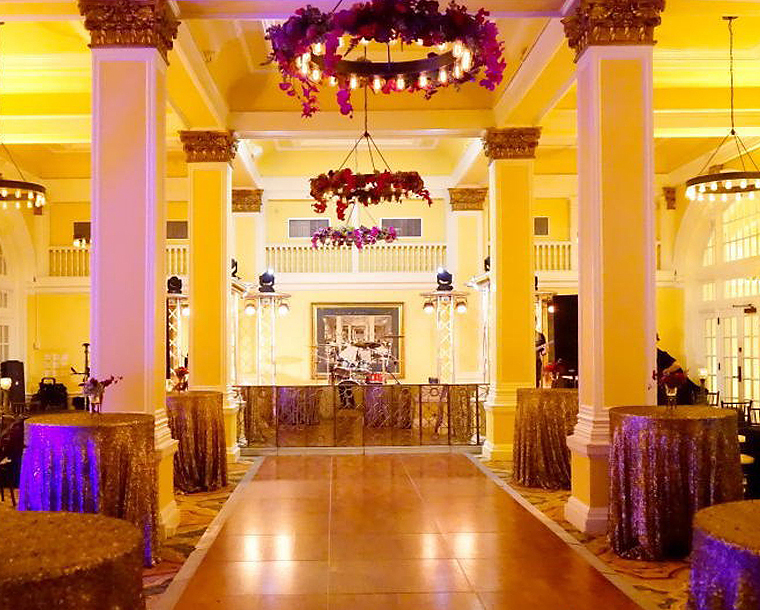 We'll take care of everything: From elegant centerpieces to gourmet catering and handcrafted cocktails, we'll make sure yours is a day to remember. 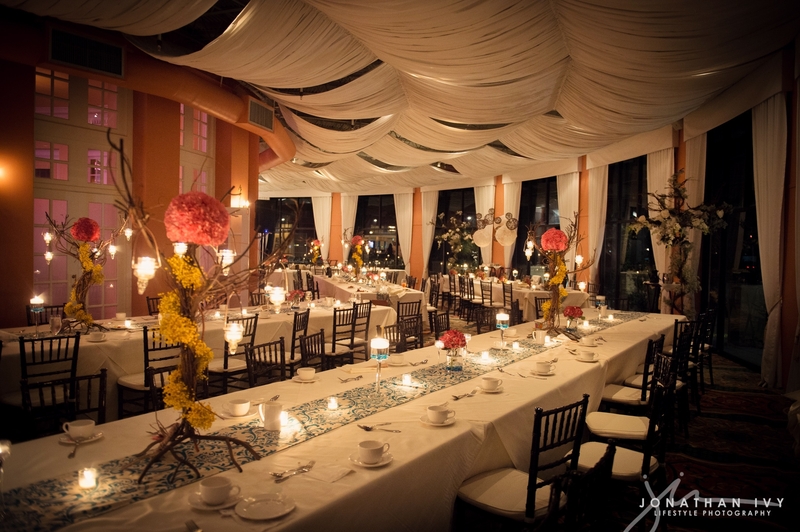 Please schedule an appointment for more on our wedding menus. 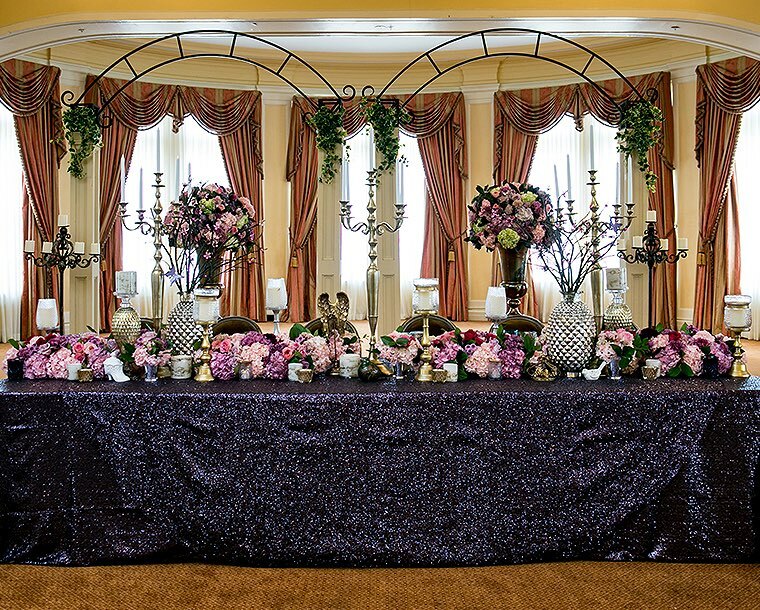 Often used for indoor ceremonies and reception, the Terrace Ballroom is ideal for vintage or trending décor. 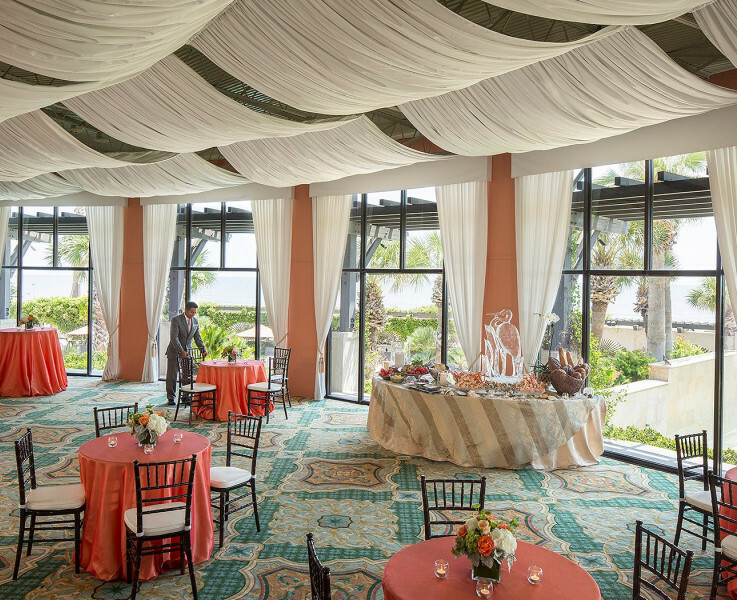 The Veranda is a unique area adjacent to the Terrace Ballroom featuring floor-to-ceiling windows for maximum natural light and stunning views of the Gulf. The Oleander Garden, with a trickling water wall and lush greenery, offers an intimate setting for your big day. 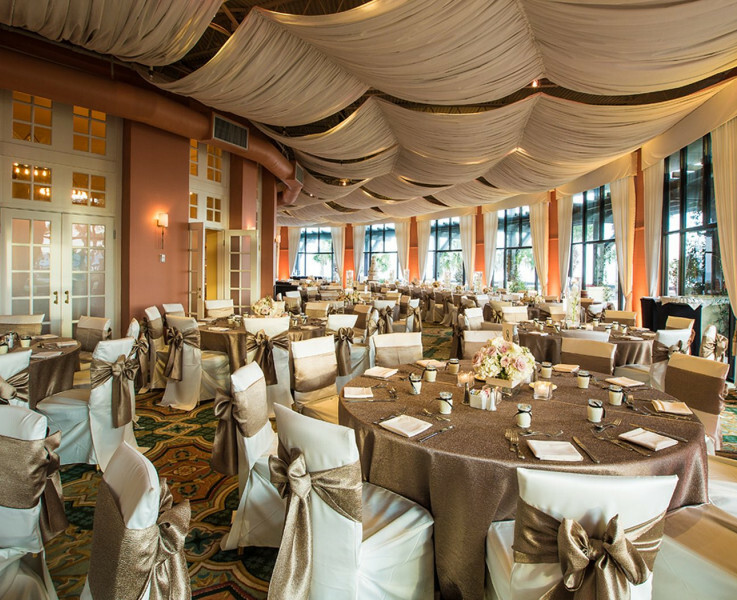 Ideal for receptions as well as ceremonies, the Music Hall is a flexible space featuring classic décor and architectural details, along with patio access overlooking the Gulf. 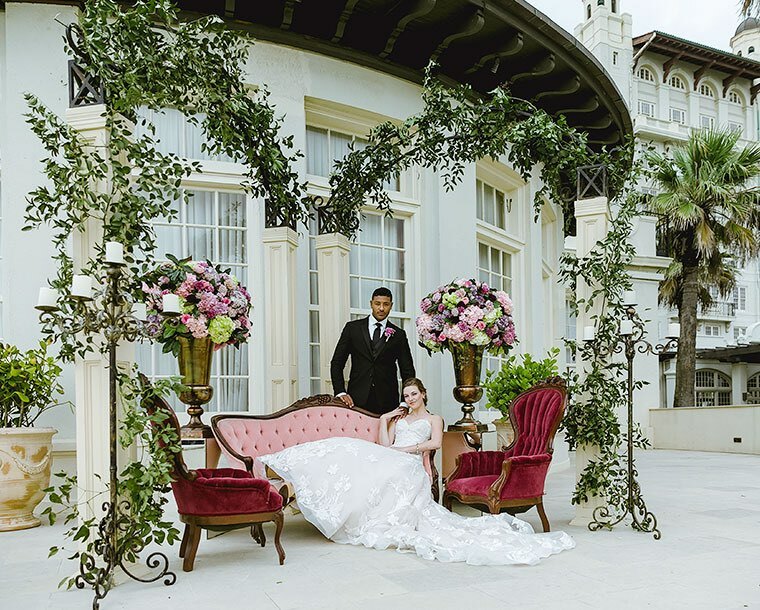 Centennial Green features a charming pergola and delivers sweeping views of the Gulf as a dramatic backdrop for your dream day. 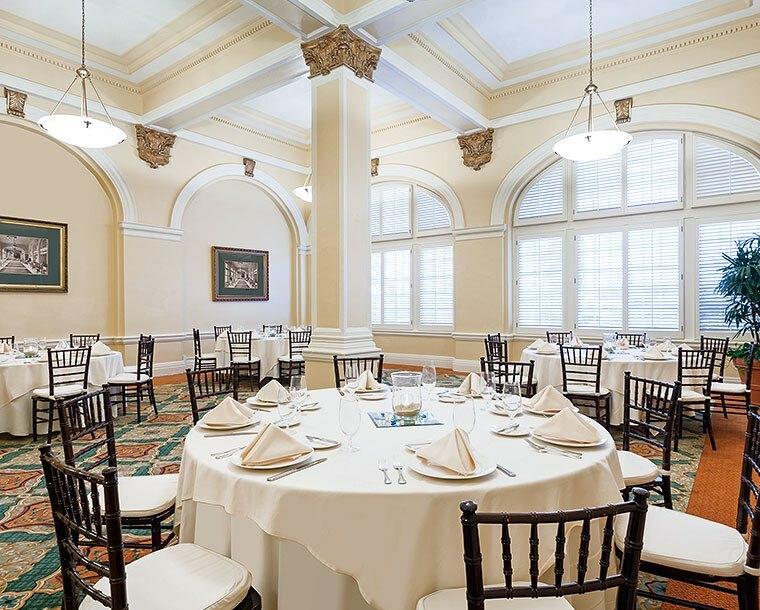 Perfect for bridal luncheons and intimate receptions, the Parlor rooms offer a versatile area with natural light. 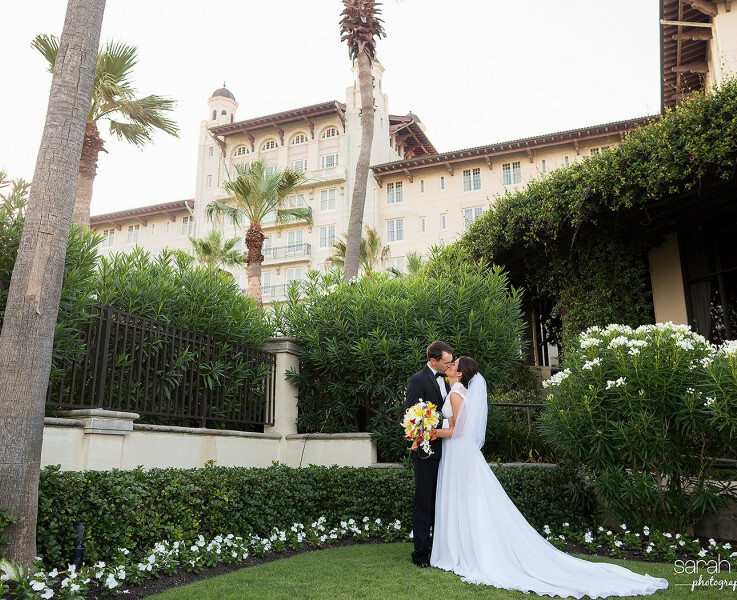 Imagine your outdoor ceremony surrounded by those you love and framed by gorgeous palm trees. The Center Lawn sets the scene beautifully for the most important day of your life. Congratulations on your engagement! This is an exciting time for you and your fiancé. Our hotel would be privileged to be part of the big day. 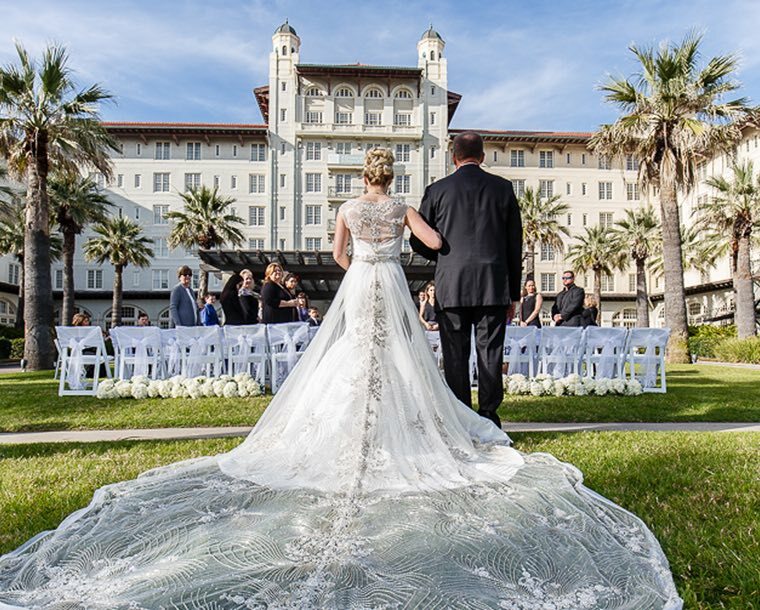 Hotel Galvez & Spa is pleased to offer you a choice of one of five complimentary incentives when booking your special day with us by June 30, 2019. See your Catering Manager for additional details. A contract must be signed and deposit received by June 30, 2019. Not available on previously signed contracts. 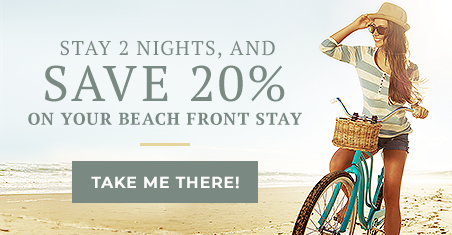 To learn more, contact our catering department at 409-515-2161, email galvezweddings@wyndham.com. Do I need to make an appointment to meet and view the ballrooms? Yes, please make an appointment to ensure the ballrooms are available to view and your catering manager sets aside dedicated time to meet with you. You can also view our floor plans here. Each couple is unique, and therefore we create a “package” specifically to fulfill your dreams. View our value dates here. Do you have outdoor areas available for weddings? Absolutely! 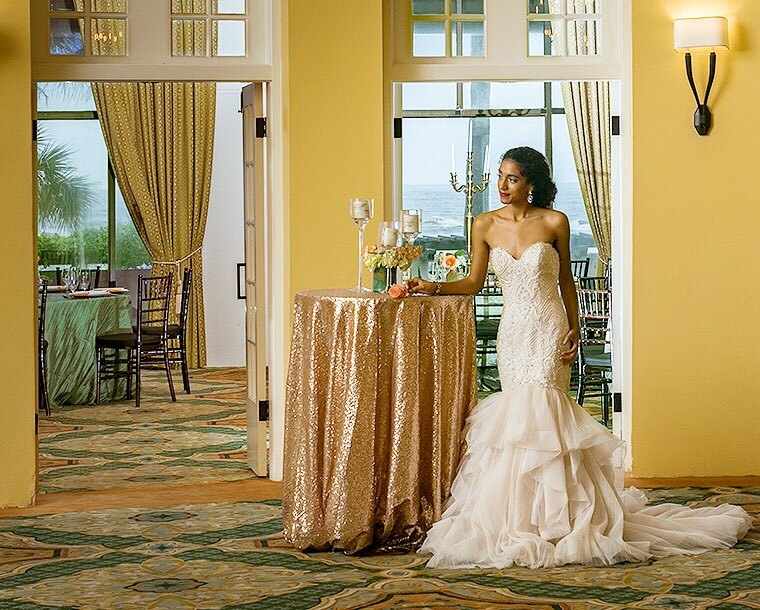 We offer three gorgeous outdoor venues at our beachfront property. Do you offer discounts if I book additional events with you, such as the rehearsal dinner or bridal shower? Yes, there are special perks and considerations when hosting multiple events. 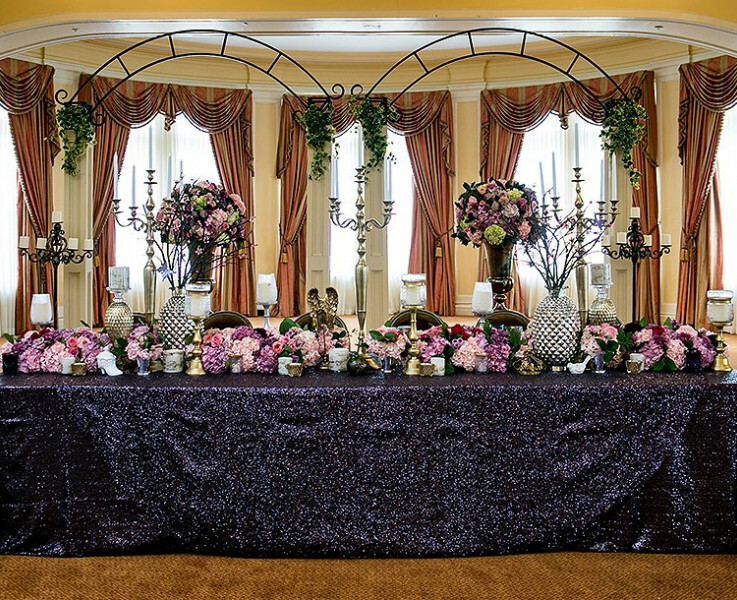 For the safety of you and your guests, all food served at Hotel Galvez, excluding wedding cakes, must be prepared by our culinary staff. Are there any exceptions on allowing us to use an outside caterer? Yes, exceptions are considered on a case-by-case basis. Your catering manager will be happy to discuss details with you. Definitely, we can offer both plated and buffet options. 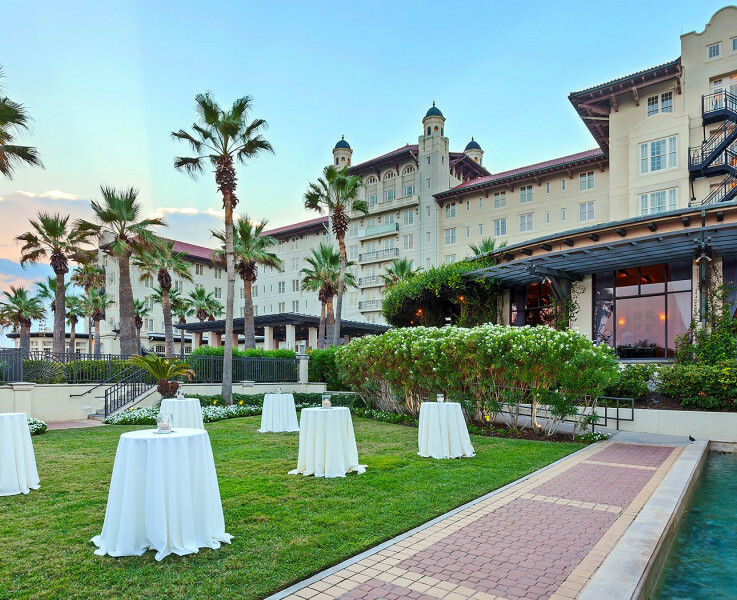 Do you have a wedding coordinator on property? Your catering manager specializes in all food and beverage details. For your benefit, we strongly encourage that you arrange for a wedding coordinator/representative to assist with the additional details surrounding your ceremony and/or reception. We created a Preferred Vendor List to help you begin planning; however, you can choose to use a different vendor for most things. 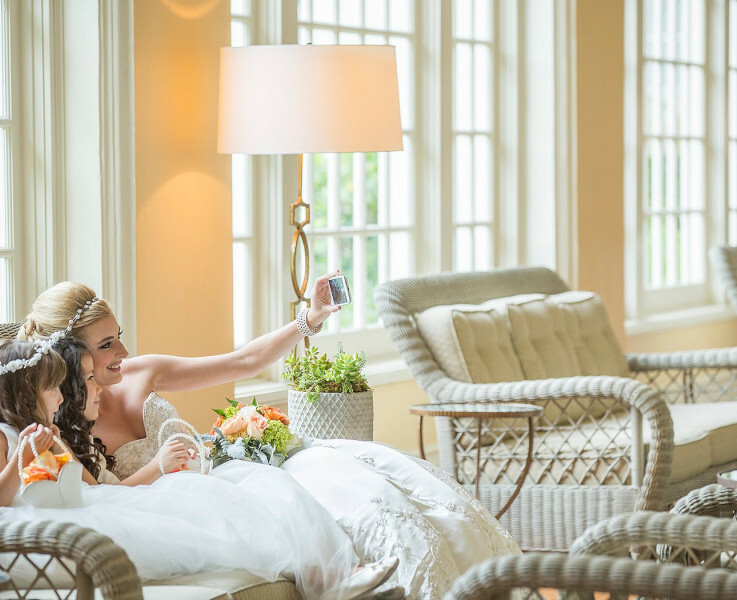 Do you offer special guest room rates if I host my wedding at your properties? We offer special overnight accommodations with a minimum of (10) rooms blocked, based upon availability. A two-night minimum applies on weekends. 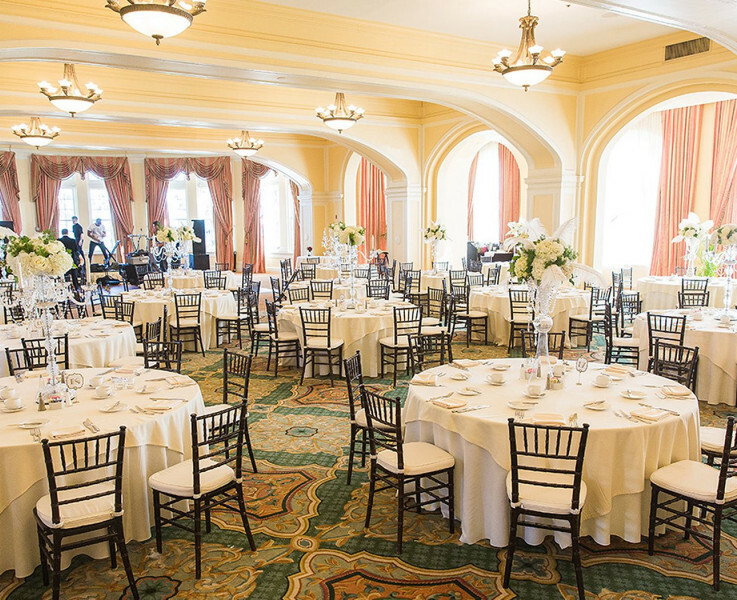 Can I reserve guest rooms at the Tremont House if my wedding is at Hotel Galvez? Yes, of course, we would be happy to welcome your guests. Will you allow me to take my engagement portraits at the hotel? 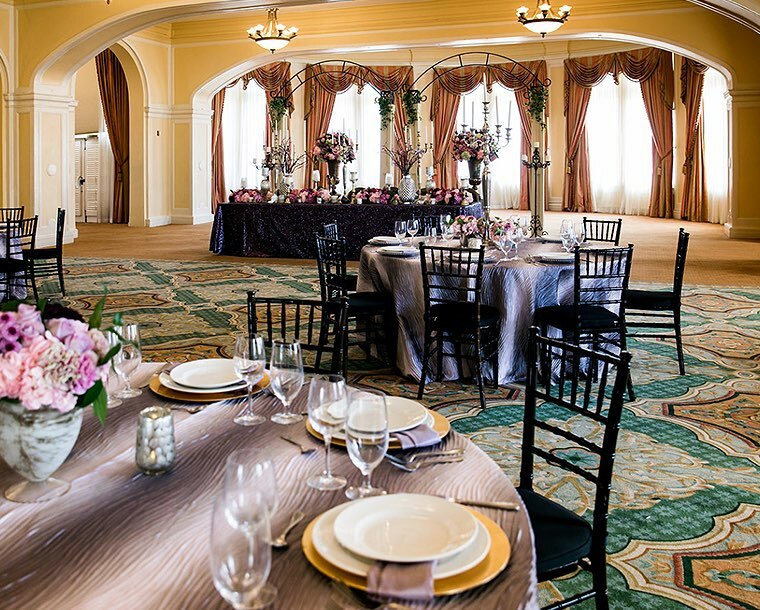 We’re happy to allow you to enjoy our beautiful venues once you have secured your date in one of our ballrooms. My question wasn't listed. How can I contact your team? 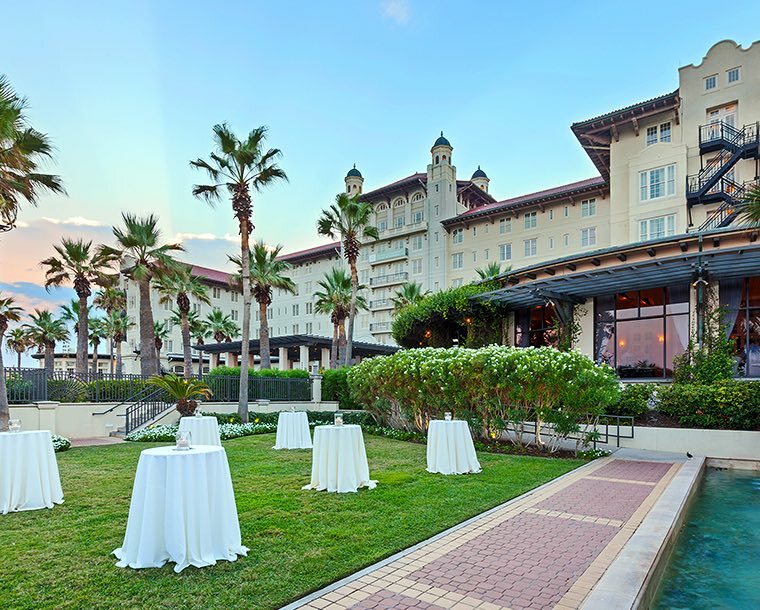 To help answer any additional questions you may have regarding your Galveston island wedding, contact our team by visiting this link.